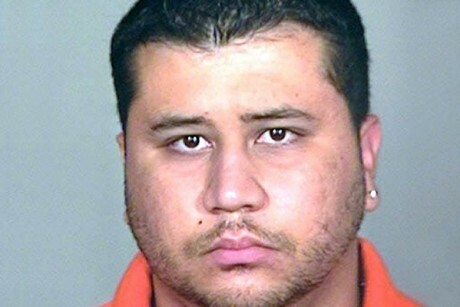 Newspaper Rock: George Zimmerman is Native?! I will address the rest later. Saddam Hussein did attack us. Even one attack on our peacekeepers was an act of war and aggression and a violation of the cease fire: Saddam ordered many hundreds of such attacks. We did not retaliate under false pretenses (many WMD have been found). The death rate after the invasion is a lot lower than under Saddam's regime: lives saved. Bush told the truth and saved lives. Scott Ritter lied about Iraq and defended the terrorist kingpin dictator because Saddam paid him hundreds of thousands of dollars to do so. What is your excuse? I completely understand the concept of "white privilege" and that it is a form of racism and stereotyping common on the Left. Finally, in regards to " Your lack of concern for the innocent Muslims we've killed is sickening". 2) the vast majority of those who died in the legal retaliation against two terrorist regimes were directly killed by the terrorists, or indirectly as part of their "human shield" strategy to increase casualties. 3) Based on the numbers from before these invasions, the number killed is far less than the number that would have died had you had your wish and the genocidal terrorists stayed in power. Where is your concern for these lives? DMarks, this isn't the half of it about the ugly truth behind the concept of "white privilege." In November 2012, a black man got elected President of the United States of America. For his second term. President. Second term. That's twice for the top position, the highest aspiration an American could aim for. A black man. Anyone with the slightest lick of common sense would say to themselves, "You know, if a black man can get elected POTUS twice, all this talk of white privilege is just a load of male bovine droppings." That's where common sense leads you. It also leads you to realize that, if somebody keeps claiming white privilege after the reelection of Obama, then chances are they have an agenda based on it. An agenda that's nothing good. What if they had to admit the whole idea of white privilege is historical material and a current-events Big Lie? It would be terrible. Race-hustlers like Sharpton and Jackson would be robbed of their source of income and attention. Supremacist hate-preachers like Rev. Wright would have no soapbox to stand on. Harborers of neo-Nazi sentiments like Jamie "It's great to kill white people in this movie" Foxxx would be ostracized just like a white movie actor gushing about his part killing blacks or Jews. And a blog owner like Rob Schmidt would have to confine his posts to American Indian issues. No, we just can't have that! After November 2012, anyone who talks of "white privilege" just outed themselves as participants in the neo-Communist agenda. The only reality about white privilege is the reality revealed about those who use that term. Interesting, Antikomi. Do you have a biog of your own? Everyone knows how odd and useless the Census race categorization is. Rob lost this argument as soon as he retreated to their useless definitions and ignored someone's actual race. Which is why I chose to address this with facts. I must say, if white privilege is still such a powerful force in America today, I wonder that you Rob, a white male, feel qualified to even comment on these new stories. Much less run a blog dedicated to Native American issues. Someone on another blog pointed out that Saddam Hussein is likely 100% Caucasian.... the racial group that whites are part of.